This super-versatile pressure cooker lives up to a lot of its promises. A GUY WAS giving away generous gifts on my local Buy Nothing group last summer: a rice cooker and a slow cooker. A growing segment of home cooks can correctly guess that his family had just acquired an Instant Pot. The pot is an electric pressure cooker, one of the modern varieties that are programmable and have reassuring safety features — but wait; there’s more! It also doubles as a slow cooker and a rice cooker (hence my neighbor’s giveaway). It’s a yogurt-maker. It’s a steamer and a food-warmer! It also browns and sautés. You get the picture. It sounds like the kitchen equivalent of an infomercial ab roller … and yet it lives up to a lot of its promises. “I got it for Christmas. I was very unsubtle about it,” says Lesa Sullivan-Abajian, a personal chef who teaches cooking classes at PCC Natural Markets and Chefshop. She likes the pot’s precision and ease of use compared to older and stovetop versions, allowing her to “set and forget” it for rich stocks or slow-braised meats. I generally resist buying new kitchen gadgets, jealously guarding my counter space. But I did give in to the Instant Pot, as did multitudes lured in by word-of-mouth and heavily discounted Amazon.com specials (it’s the company’s top-selling kitchen item despite rival products and a price of around $100). My reasoning was that the pot was so many things in one. I liked the idea of an unintimidating pressure cooker; I didn’t own a yogurt-maker; and my ancient, trusty rice cooker had just died. About the only task the pot wouldn’t take on was making jam; the National Center for Home Food Preservation doesn’t currently recommend canning in any electric multicooker. It occurred to me recently to check in with that guy on the Buy Nothing group, and see how the pot turned out for him. Asa Fager kindly connected me with his wife, Jessica Rowland, who learned about the Instant Pot on meal-prepping and budget cooking blogs like Budgetbytes.com. She knew it would save her time in the kitchen, but it seemed an expensive investment, regardless. She finally bought it on one of the sales, and calls it her best kitchen purchase ever. While I haven’t put my own to quite such impressive use, my family relies on it regularly now, cooking dried beans in such short order that we can make scratch chili on weeknights, producing the most collagen-rich stocks we’ve ever simmered, making yogurt at home for the first time. Its abilities, in fact, have changed my mind about gadgets — at least, useful ones. I would have had many more home-cooking options if I’d learned to use a pressure cooker years earlier, even the more intimidating version. Now that I know how simple homemade yogurt really is, I wish I’d made my own long ago. Good tools help, and I’m glad to have a multipurpose one on hand, but I might be more open now to new cooking adventures of all kinds. 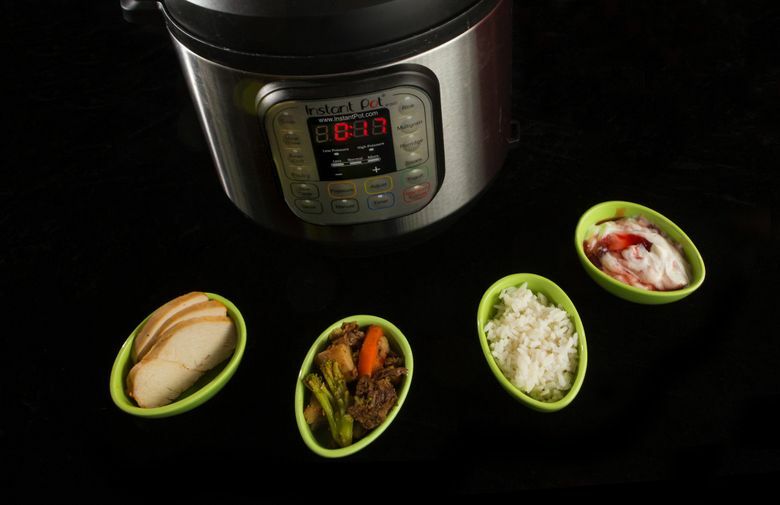 Bought or borrowed an Instant Pot? There are some specialized cookbooks for it, but also a wealth of online resources. One authorized Facebook community group, for example, has more than 350,000 members sharing recipes and advice. There’s a video on our experiments with dried beans. And here’s the yogurt recipe we used.